Side projects: so many musicians these days seem to have at least one other creative outlet outside their primary endeavor. Whether it’s for reasons of inspiration, camaraderie, money, a need to stay busy, or any combination thereof, keeping a couple irons in the fire seems to be the thing to do. Having an “alter ego”, though, is another thing. To call a side project an alter ego is to suggest that it reveals a distinct side of the artist — a significantly different set of characteristics, if not necessarily a night and day flip. 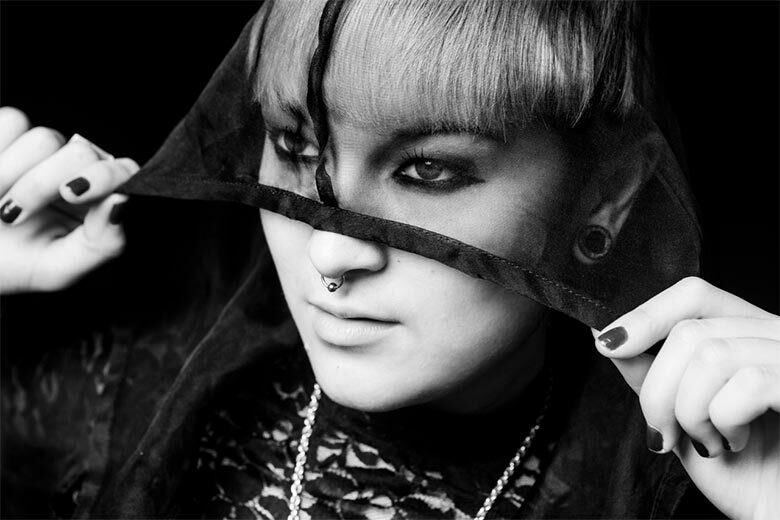 As the designated alter ego of London-based house music Renaissance woman Maya Jane Coles, Nocturnal Sunshine folds her day and night into one. 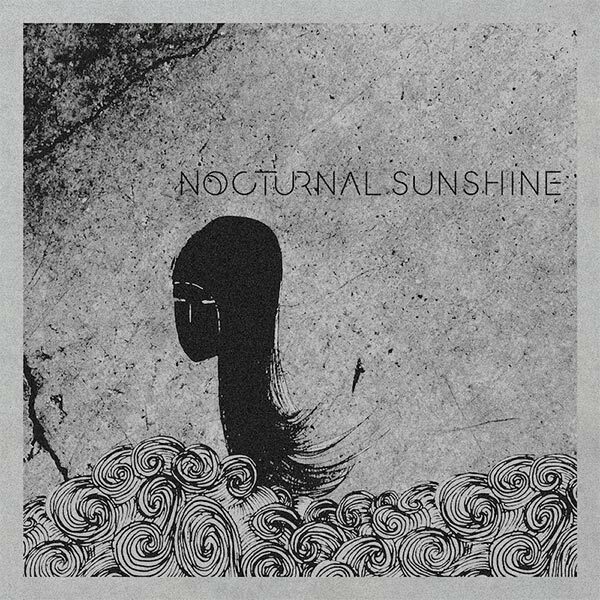 Nocturnal Sunshine‘s self-titled debut shares a number of qualities with the British-Japanese producer’s actual first full-length release under her own name, Comfort. By the time Comfort came around in 2013, Coles was already moving beyond the more straightforward techno of the title track on her breakout 2010 EP, What They Say, which was notably sampled on Nicki Minaj’s track with Drake and Lil’ Wayne, “Truffle Butter”. Coles’ varied choice of collaborators on Comfort was at least some indication of her pursuit of denser atmospheres and complex personality to give her songs a longer life outside of the club. Special guests included Miss Kittin, Swedish-Norwegian singer Karin Park, and Tricky. “Wait For You”, the Comfort track featuring the trip-hop luminary Tricky, could be the symbolic bridge to Nocturnal Sunshine. Neither bears much of the stoned rattle of typical trip-hop beats, but perhaps some of the shadowy aura of Maxinquaye and Pre-Millennium Tension began to slowly creep into Coles’ dreams after their time working together. Hardly Day-Glo festival techno, Comfort nonetheless contrasts as an overall brighter collection when set next to Nocturnal Sunshine, which puts emphasis on lower frequencies and darker ambience. As made clear right away with “Intro (Holding On)”, Coles hasn’t forsaken dance as the primary directive, but the first guest turn on Nocturnal Sunshine subtly shifts expectations. “Believe” is a smoky, velvet-lined back room of a hip-hop track that spotlights the vocals of versatile London folk singer Chelou (who does a pretty decent rendition of Nirvana’s “Aneurysm”). Instead of the more earnest, breathy delivery of his other material, on “Believe”, he adopts a louche, leaping cadence with the verse, “Stole a kiss from her lips cause I knew that she wouldn’t give it freely/ Why must I always be the last to arrive”. When he’s not focused on taking what he wants, his concentration wanders to the things he doesn’t have: “Patience ain’t no virtue of mine/ My patience is wearing thinner all the time”, drawing out in the chorus, “Believe/ I don’t believe in anything”. Later, “Down by the River” features the other prominent guest vocal on the album, from Argentina’s Catnapp, whose twangy sing-song flow recalls M.I.A. circa Arular. When collaborators aren’t on the mic, simplicity becomes the lyrical virtue on Nocturnal Sunshine. Often there is a central feeling summed up in a pair of recurring open-ended images, as with “See the colors floating by/ Side by side” and “I just dance the night away” on the sleek, microhouse-ish “Drive”. A line like “Sometimes it gets cold at night” doesn’t state much more than the obvious when written down on paper, but here it does well enough to set the mood on “It’s Alright”, as it rises like bubbles through arctic waters. “I know sometimes we fight/ But it’s alright”, Coles herself gently sings; a disarming, plainspoken concession. On the album’s especially strong front half, “It’s Alright” goes back-to-back with the album’s first single, “Take Me There”, which recently received a very attractive vinyl release for Record Store Day over in the UK. Not only does Coles see her music through its every step, but she often comes up with the visual face it presents to the world, as she did for Nocturnal Sunshine‘s gothic dream artwork. The impulse to retain that kind of creative control is refreshing to see in an artist who has graced enough magazine covers and accumulated enough thousands of social media followers (or three million on Soundcloud, as it were) to surely have the option of outsourcing at least some of the tasks she takes up. It is that very dedication that Coles has to her vision that gives Nocturnal Sunshine its uniqueness and consistency.